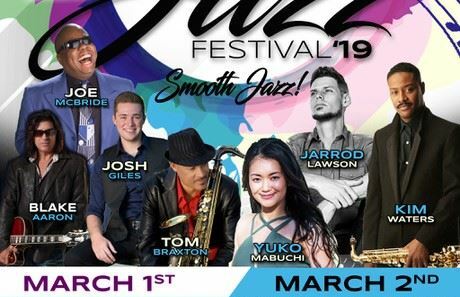 3rd Annual Jazz Festival 2019 ~Smooth Jazz! 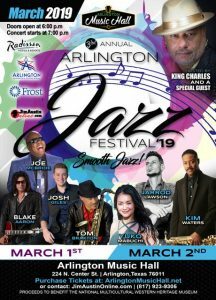 Our vision to bring a diverse group of Jazz and Blues artists to the local DFW community continues for the 3rd consecutive year. We are delighted to bring these nationally recognized Jazz Music Masters together to preserve, present and promote the beauty and diversity of this exciting musical culture. Through our performances, we strengthen the local jazz community and contribute to the overall cultural and artistic diversity of the region. melodies that combine the best of jazz, R&B, funk and soul. incorporates social and spiritual messages into his uplifting sound.